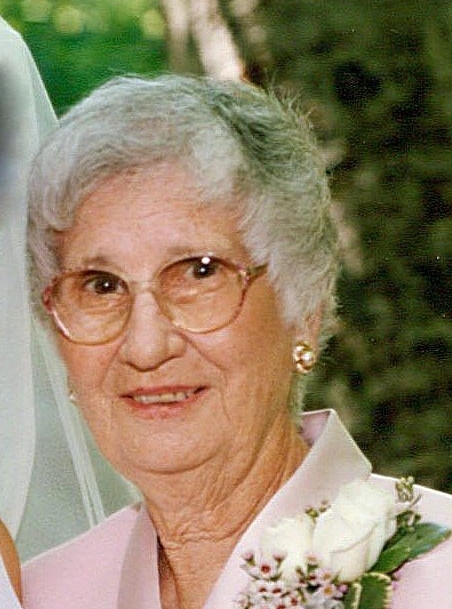 Mrs. Ruby Culverhouse Guy, age 92, of Butler, died Sunday, February 3, 2019 at Riverside Health and Rehab. Graveside and burial services for Mrs. Guy will be held on Friday, February 8, 2019 at Andersonville National Cemetery at 12:00 pm with Elder Julius Stewart officiating. The family will receive friends at the funeral home on Friday from 10:00 am until 11:00 am. Mrs. Guy was born February 12, 1926, in Taylor County, Georgia, to the late Hugh Neisler Culverhouse and Madie Pickard Culverhouse. She worked as a seamstress at the William Carter Company and International Playtex for many years. She loved working in her yard and having beautiful flowers. Mrs. Guy was a member of the First Baptist Church of Butler. In addition to her parents, Mrs. Guy was preceded in death by her husband, Leonard “Pete” Guy, a daughter, Cheryl Waller, a sister, Ida Culverhouse Beeland, and a brother, Cecil Culverhouse. Survivors include a son, Larry Guy and daughter-in-law, Kay; five grandchildren, Britt Carpenter (Lisa), Matt Goggins (Renee), and Brad Waller, all of Butler, Lori Guy Daniel (Joe) of Reynolds, and Liza Guy Chapman (Ronny) of Dawsonville; several great-grandchildren and nieces and nephews. Those desiring may make memorial contributions to: Howard United Methodist Church Cemetery, PO Box 92, Howard, GA 31039 or a charity of choice.